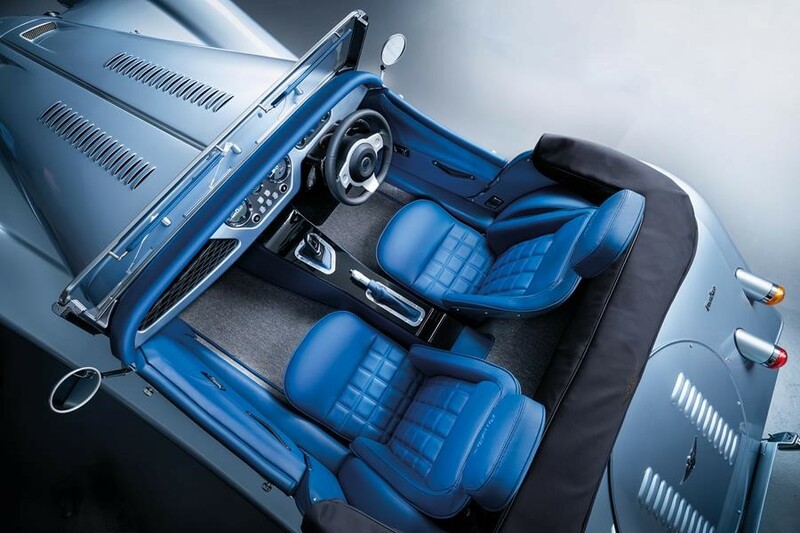 In its landmark 110th year in business, the Morgan Motor Company is excited to introduce the next generation of Morgan sports car, debuted today at the Geneva International Motor Show. The all-new Morgan Plus Six is, without exception, the most dynamically capable Morgan ever produced. Further extending Morgan’s unique blend of craftsmanship and technology, the Plus Six celebrates Morgan’s timeless design, underpinning it with the newly introduced CX-Generation aluminium bonded platform and the latest BMW powertrain. An expanding in-house Research and Development team, a growing list of strategic technical partners and an extensive testing programme ensure the Plus Six is the most thoroughly developed Morgan product to date. The Plus Six represents several firsts for Morgan, most notably the first time the company has utilised a turbocharged engine. The BMW 2019 B58 TwinPower Turbo inline 6-cylinder engine is a latest generation BMW powertrain and Morgan has worked alongside BMW to fine-tune the performance capabilities of the Plus Six. A closer look at the iconic Morgan silhouette gives a number of clues to just how radically different the Plus Six is to any other Morgan model before it. Subtle vents provide a hint of the raw power and performance that underpin the beautiful flowing lines of the exterior. Make no mistake, whilst familiarly Morgan, almost every part of the Plus Six has been refined or redesigned, with less than one percent of the 4,000 parts being shared across other Morgan models. A completely redesigned cabin celebrates the natural materials used within Morgan craftsmanship, as well as offering greater levels of personalisation than ever before. The new cockpit is more driver focussed and encompasses appropriately introduced technology, whilst also allowing customers more leg room and increased stowage space. The Plus Six is one of the cleanest vehicles within the Morgan range. The introduction of the new powertrain has led to a CO2 figure of 170g/km and a combined MPG figure of 38.2mpg. 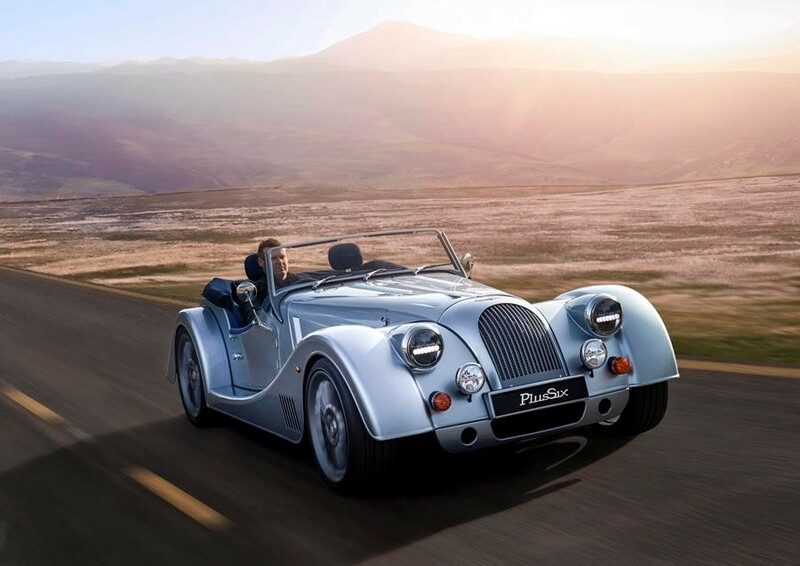 The achievement of a more fuel-efficient vehicle allows the Plus Six to compete in key European markets, which have previously proven prohibitive for high-performance Morgans due to tax reasons in recent years. The Plus Six goes on sale today, and is priced from £77,995 inc. VAT in the UK. The all-new CX-Generation bonded aluminium platform is a leap forward in terms of the engineering that underpins Morgan’s most dynamically capable model. Weighing less than 100 kilograms, the all-new platform benefits from a 100% increase in torsional rigidity. The key engineering attributes of the CX-Generation platform not only aid performance for the Plus Six, but also offer several important driver benefits including 200mm increased leg room and 31% increase in stowage space. The ‘first edition’ Emerald and ‘first edition’ Moonstone Morgan Plus Six models represent the diverse array of specification options that are available on Morgan’s latest model. Each of the 50 first Plus Six models will be built in ‘first edition’ specification and are available to order now. The Plus Six features an all new, more driver focussed and refined cockpit. 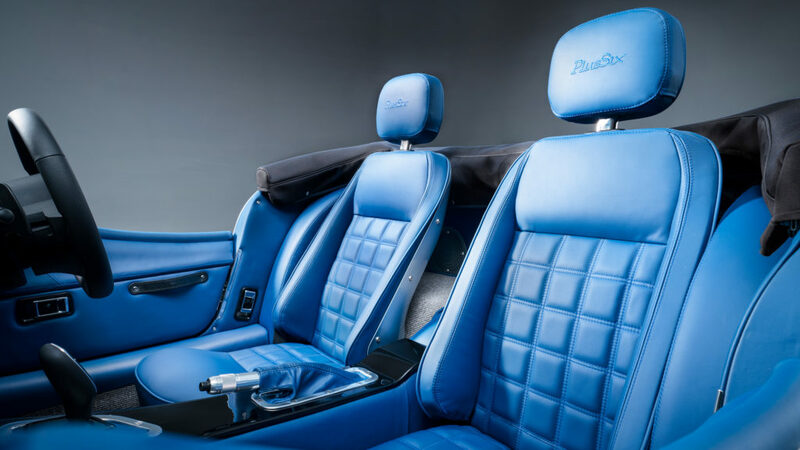 A reimagined interior offers greater levels of personalisation than any Morgan previously, whilst cleverly incorporating technology throughout. A display screen is neatly positioned within the driver’s field of vision, subtly embedded into the dashboard with an unlimited level of wood and colour combinations. Sculpted doors incorporate all new puddle lighting, central locking mechanisms and hidden speakers. 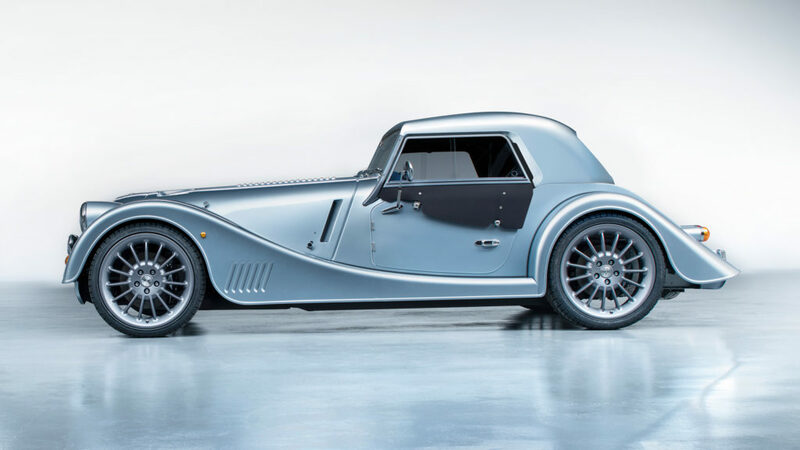 Meet the Plus Six, an almost entirely brand new Morgan. Which looks – perhaps reassuringly – just like an old Morgan. Believe it or not, a mere four components have been carried across from previous models, and they’re the round metallic stoppers for the centrally hinged bonnet. Everything else has been replaced or completely redesigned. What those stoppers protect is the big news. Morgan had already told us the Plus 8 was surrendering its V8, and its change in name is a ginormous clue to what lies beneath, namely a 3.0-litre straight-six turbo engine producing 335bhp and 369lb ft.
That turbo six drives the rear wheels, but despite this being Morgan’s first ever turbocharged car, via no safety systems whatsoever. There’s not a jot of traction or stability control, ABS being the only sop to that entirely modern attitude of ‘not wanting to crash’. 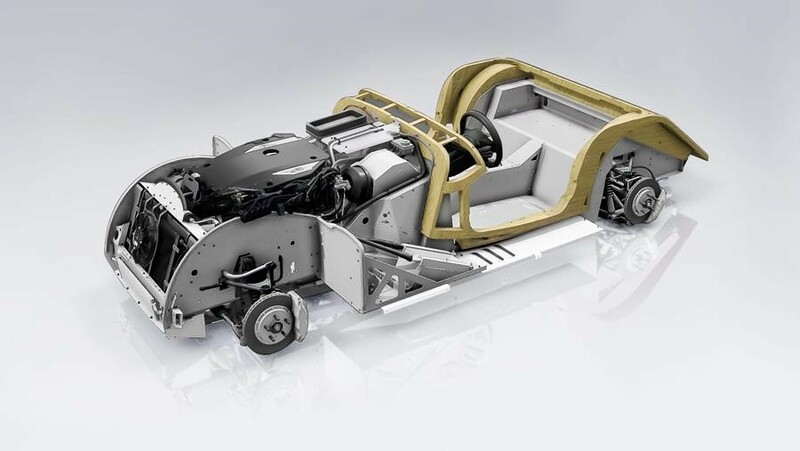 But this is where news story number two comes in: the Plus Six is based upon an entirely new aluminium and ash architecture that should futureproof Morgan’s next range of high-end sports cars. The so-called ‘CX’ platform may host an entirely familiar looking car to begin with, but expect considerably more radical Morgans to follow. Hybrids, EVs, active safety systems, even a degree of self-driving… this new age of Morgan will be able to adapt to whatever its maker (or legislation) sees fit. So while future Morgans can be malleable to changes in safety rules, the Plus Six channels all of that turbo power through no filters whatsoever. There’s only an eight-speed ZF automatic for now, with fixed plastic paddles behind the wheel and the same central gear selector as all the BMWs (and the Toyota) the drivetrain is shared with. A manual may follow in due course. There’s a choice of comfort, sport and sport plus drive modes, though they operate only on gearbox and throttle reactions. There’s no adaptive damping or suchlike, but again, it’s something future models may get. If you’re worried, then the new platform is twice as strong as the one it replaces with inevitable benefits to handling prowess. The Plus Six has had three years of development work, much of it alongside BMW, and is without doubt the most thoroughly honed Morgan ever, with hot and cold testing overseas and lapping at Idiada in Spain. That new platform also halves the production time compared to a Plus 8, down from eight to four weeks, and thus should double the wide-bodied Morgan’s sales, from 150 to 300 a year. The company is famed for its almost infinite bespoke options, though, and reckons the Plus Six will be more customisable than ever thanks to the new seat and trim options freed up by a bigger, more flexible interior. It’s actually pretty familiar inside. The dials are as simple as before and the interior doesn’t suddenly submit to an endlessly connected world; driving a Morgan will remain an antidote to all of that, but there is a new LCD trip computer so you can see how close to its claimed 38mpg you’re getting. The biggest change is an additional 200mm of legroom that should open up Morgan ownership to a hitherto unsatisfied tall audience. Order books are open now, with the Plus Six starting at £77,995. Considerably more than the BMWs and Toyotas its engine is shared with, but much less than the £120,000 those final Plus 8s sold for. The two cars you see here are the now de rigueur Launch Editions, which cost £89,995, come in a fixed spec and include the removable hard top that’ll be optional on regular Sixes. Overseas, the price difference will be yet more stark thanks to the smaller engine’s cleaner CO2 emissions. In some European markets they’ll drops the car’s registration tax from as much as 60,000 euros to around 10,000 euros. Yikes. “We recognise the classic Morgan has remained very popular for us and we still see a lot of mileage in the running board design,” concludes Wells. “We think it’ll appeal to current Morgan owners but also turn the heads of people who haven’t considered them before. Lovely car. If you are looking for a Morgan, this certainly has the Morgan look. However, I think its a miss having an automatic transmission. I am sure they were backed into a wall with this as Morgan doesnt have the ability to tool out a Manual on their own. This being said, I would rather have seen them spruce up a Ford V6, or a Yamaha tuned Toyota engine as used in the Lotus cars as either would have allowed them to keep a manual.